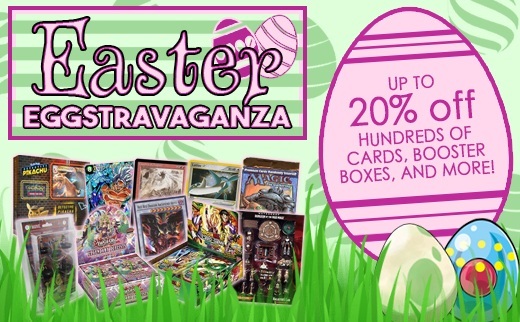 Get 20% off MTG Promo card singles all week long! Use coupon PROMO20! Merchant and preorder items do not apply. Preorder Magic: the Gathering War of the Spark today! This highly anticipated set drops May 3rd! Each booster pack contains a Planeswalker! Get all new Pendulum Monsters in the latest Structure Deck from the Yugioh TCG, Order of the Spellcasters!